The Marriage Building membership is focused on helping people learn how to solve common marriage problems and increase love in married life by turning a flat or presumably good relationship into an exceptional, exciting, and passionate marriage. This membership provides the most important methods couples need to solve the most common marriage issues by implementing powerful marriage-enriching strategies. Because marriage is a constantly flowing relationship of emotions and communication, timeliness and dedication are essential. The difference between a successful and failing marriage is, when faced with a problem, successful couples know how to fix problems and enhance love, communication, and passion for each other. In contrast, struggling couples turn problems into greater and increased conflict caused by communication breakdown and a lack of conflict resolution. You can build your marriage into something better, if you know what to do at the right moment and have the right tools. This is what the Marriage Building membership is designed to do. The combination of online therapy and counseling, and online courses and strategies are organized so you can say, "I know how to fix my marriage." With this membership, you get access to an extensive library of courses and mini courses that focus on the essential problem solving and marriage enrichment strategies. 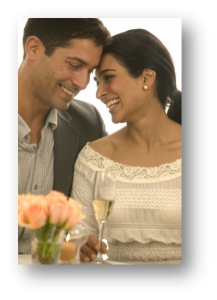 You can access marital experts who provide the best quality of help in real time. Simply identify the coach or expert(s) you wish to communicate with, and schedule an appointment right on the site. Online courses and coaching provide an invaluable combination of resources that equip you with the most successful strategies and the ongoing-support of coaches/experts who help you implement these strategies so you succeed. There are two membership options available: 3 months and 6 months. These discounts are good for the duration of your membership. Use them to get discounted rates to online marriage and relationship counseling and coaching. These newsletters have been specifically designed to help you better understand your circumstances, fix common marriage problems, and create more rewarding, positive moments in marriage. Join now and start building your marriage into a more loving, intimate, and romantic partnership. As part of this membership, you will receive priority invitation to forums. These forums are often moderated by licensed experts or top professionals so you can find tremendous real-time help and solutions to common marriage issues.